“Hours of work” is the period of time during which an employee works for an employer. It includes time off with pay instead of overtime pay provided by an employer and taken by an employee. An employee may work a maximum of 12 hours in a day unless an unforeseeable or unpreventable emergency occurs, or the Director of Employment Standards issues a permit authorizing extended hours of work beyond 12 hours. at least four consecutive days of rest after 24 consecutive work days. 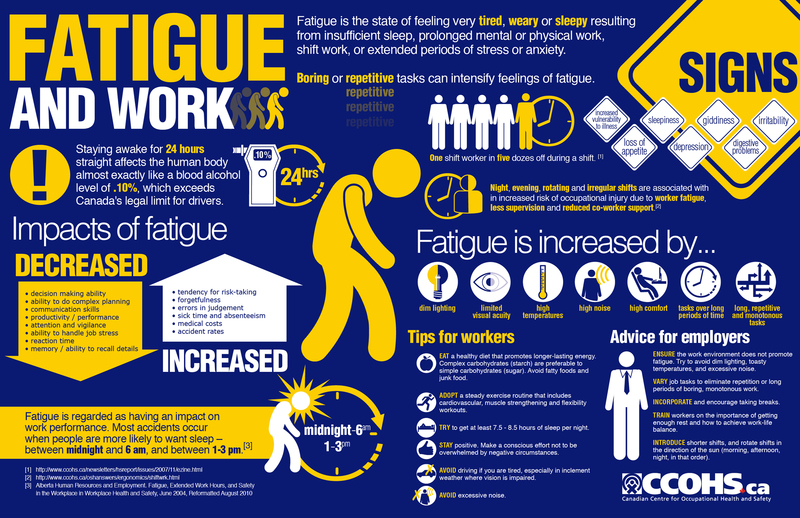 To learn more, see the Hours of Work, Rest Periods and Days of Rest Fact Sheet. Question: Are Managers and Supervisors considered ‘Employees’ under the standards, and are they included in the day’s of rest requirements? Answer from Employement Standards Contact Center: The minimum standards under the Employment Standards legislation apply to all employees & employers that fall under Alberta’s jurisdiction. Employment Standards legislates hours of work and overtime, payment of wages, vacation pay, general holiday pay, maternity and parental leave, reservist leave and notice of termination of employment for employers and employees in provincially regulated employment. Depending on the industry, there may be some exceptions to the minimum standards. Managers and supervisors are exempt from days of rest. Phone: 780-427-3731 or toll free by dialing in Alberta 1-877-427-3731. Hours of operation: Monday through Friday 8:15 am-4:30 pm excluding general holidays.